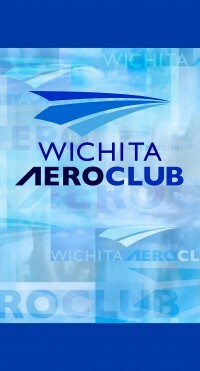 The Wichita Aero Club will offer a double dose of aviation information in September when it hosts the leaders of two groups that have significant impact on the industry. Executive Director Selena Shilad of the Alliance for Aviation Across America (AAAA) will speak at the Wichita Aero Club’s September 25 luncheon and be followed the next day by Scott Ernest, CEO of Cessna. 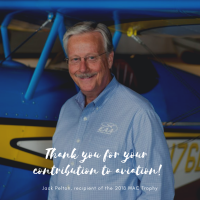 He will give a presentation at the first annual Kansas Aviation Expo Takeoff Reception sponsored by the Wichita Aero Club and Cessna. Mr. Ernest was previously scheduled to speak at the WAC February luncheon but it was cancelled due to the snowstorm. The Takeoff Reception will be held Thursday, September 26, 5:00 P.M. at the National Center for Aviation Training (NCAT). Those who purchase luncheon tickets for the Sept. 25 event can also attend the reception for an additional $10. Individual reception tickets are $20. “Wichita will be treated to the equivalent of ‘Aviation Weekend’ in September with a Wichita Aero Club Luncheon, the newly-announced Kansas Aviation Expo and the annual Wichita Flight Festival happening back-to-back-to-back,” said Dave Franson, WAC President. “For five days, from the 25th to the 29th, there will be some very interesting and informative aero events taking place. The WAC is joining with Cessna to launch the Kansas Aviation Expo with a Takeoff Reception in the student commons of the National Center for Aviation Training. This event will feature heavy hors d’oeuvres and drinks as well as a long-awaited presentation by Scott Ernest. The opportunity to hear Selena Shilad and Scott on consecutive days is special. It’s going to be a terrific aviation weekend,” Franson said. Selena Shilad has been with the Alliance for Aviation Across America since it began in 2007. Prior to her work with the AAAA, Shilad coordinated strategic communications and media campaigns for several non-profit organizations and political campaigns. She has worked with former Governor of Michigan Jennifer Granholm (D) and former Congressman Chet Edwards (D) of Texas. She worked with Senator Jack Reed of Rhode Island (D) on specific matters such as health care, banking, housing, and trade issues. In addition, Shilad was the Deputy Communications Director at the Democratic Senatorial Campaign. She possesses two Master’s Degrees, one from the Georgetown University McDonough School of Business and the other from the University of Chicago. The Alliance for Aviation Across America was formed in 2007. It is a non-profit, non-partisan coalition of more than 6000 individuals, businesses, agricultural groups, FBO’s, small airports, elected officials, charitable organizations and leading business and aviation groups. The organization helps to raise awareness about the value of general aviation and local airports, particularly for rural communities. Scott Ernest, CEO of Cessna, joined Textron in May of 2011. A 29-year veteran of General Electric Company, he served in a variety of key senior management roles, including vice president, general manager and global supply chain for GE Aviation immediately prior to joining Cessna as Chief Executive Officer. He also served as vice president, general manager and global services operations for GE Aviation’s services business. In addition, he held several general manager roles ranging from overseeing its sourcing organization to responsibility for its North American operations. He also led GE Aviation’s large aviation services businesses located in Singapore and Strother Field, near Winfield, Kansas. At Cessna, Scott is responsible for overseeing Cessna’s new product and service development, strengthening its manufacturing and sourcing operations, and intensifying its global expansion efforts. He earned a Bachelor of Science degree in mechanical engineering from the University of Akron and a Master of Science degree in engineering from the University of Cincinnati. Since joining Cessna, he has presided over an expansion of the company’s service network in Europe and China, as well as the signing of agreements to assemble and sell Citation XLS+ business jets and Caravan turboprops in China. Cessna has also introduced several new models, including the Citation Latitude, new versions of the Citation X and Sovereign and the Mustang M2.